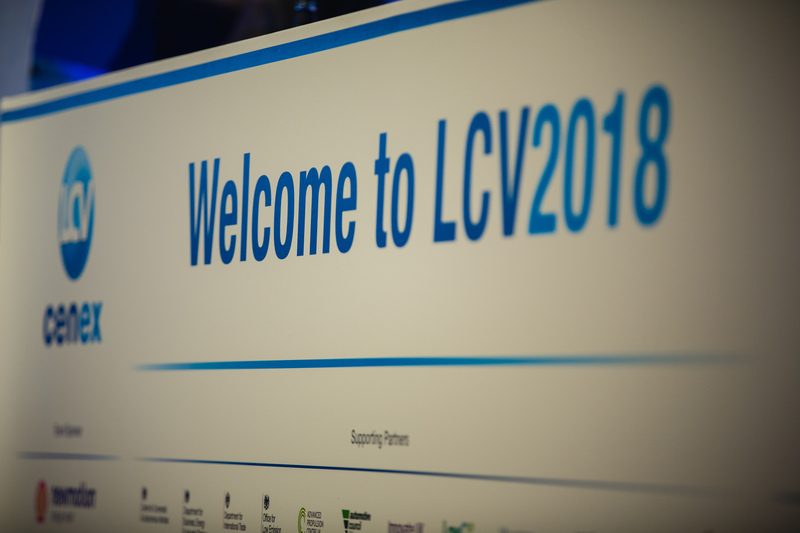 Showing the growth of the UK low carbon vehicle (LCV) industry, Cenex-LCV2018 saw a record 4,385 visitors and exhibitors attend the UK’s largest event for the low carbon vehicle community. This was a 13.5% rise on 2017 numbers, which were themselves a record. Held at Millbrook, Bedfordshire between 12-13 September 2018, Cenex-LCV2018 was opened by Rt Hon Richard Harrington, Parliamentary Under Secretary of State, Industry & Energy with Rt Hon Jesse Norman, Parliamentary Under Secretary of State for Transport, and Rt Hon Alun Cairns, Secretary of State for Wales, also in attendance. New UK battery manufacturer launched. Hyperbat, a joint venture between Williams Advanced Engineering and Unipart Manufacturing Group announced plans to open a new UK facility to produce batteries for future hybrid and electric vehicles, beginning with the Aston Martin Rapide E.
Westfield Technology Group (WTG) revealed a new autonomous vehicle. WTG and Korean company OnCar shared their plans to co-design and build a 12-14-seater autonomous vehicle, to complement WTG’s existing 4-6-seater model. Niche vehicle technology competition winners share £3m investment. It was announced that 30 projects will receive grant funding from the Niche Vehicle Network competitions, collectively supported by Innovate UK, the Office for Low Emission Vehicles (OLEV) and the Advanced Propulsion Centre (APC). Digital Resilience Lab drives security in connected vehicles. Roke and Ricardo launched their new Digital Resilience Lab, which aims to help automotive manufacturers design and produce the next generation of secure vehicles and realize the vision of future transport systems. Ford debuts plug-in hybrid electric Transit. Ahead of its first commercial trial in London, Ford’s Transit Custom van made its debut at Cenex-LCV2018. “The attendance here is superb. It is the place where the industry comes to meet – we have a great mixture of government, manufacturers, supply chain companies and universities. Whoever you need to meet in the electrified vehicle space, they’re here,” said Prof. David Greenwood, WMG, The University of Warwick.